Car sales in Western Europe grew by 5 percent in July to just over 1 million vehicles, bringing sales for the first seven months to 7.4 million units compared to 7.0 million in the same period last year, according to market researchers LMC Automotive. "Registrations remain on track for a solid full-year expansion for 2014, with further growth forecast in the next few years on the back of ongoing economic recovery," LMC analyst Jonathon Poskitt said in a report. Taking July's data into account, the Seasonally Adjusted Annualized Rate (SAAR), which forecasts the likely full year outturn, remains at 12.2 million units. Total Western European new car sales in 2013 were 11.5 million units. The German market picked up strongly last month, with sales up 7 percent to 270,249 units, with the selling rate calculated by LMC climbing toward 3.3 million units for the year – the strongest selling rate since February 2012. "Helped by a generally positive economic backdrop this year, the market is on course for a 3‐4 percent improvement over 2013," Poskitt said. 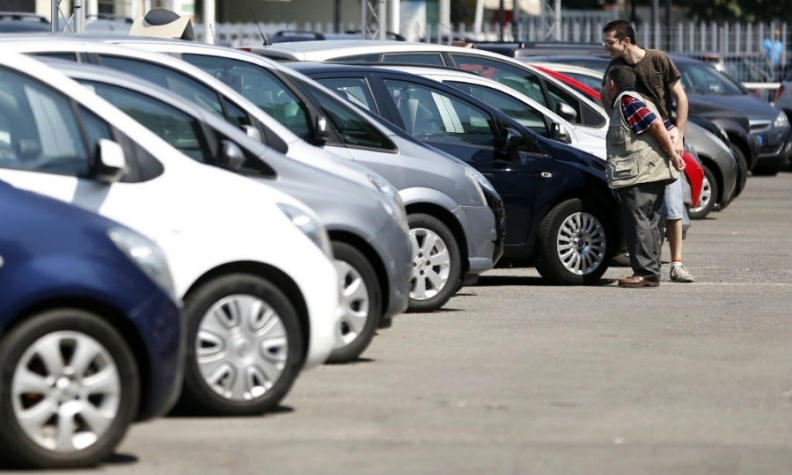 UK car sales also grew by 7 percent in July, to 172,907 units. Even though the annual selling rate of 3.4 million eased slightly the market looks to have fully recovered to pre‐financial crisis levels, the analyst said. The Spanish market expanded for the eleventh consecutive month, up 11 percent to 83,223 with sales continuing to be aided by the ongoing implementation of a scrappage incentive scheme. The selling rate indicates a full-year outturn of 844,822 units, which would be an increase of 15 percent on last year. The Italian market was also higher, up 5 percent at 113,777, though the selling rate for July of 1.3 million units was weaker than for recent months. "The Italian government is considering new tax incentives to assist the car market there which, depending on the level of support, could rapidly improve the fortunes on this struggling market," Poskitt said. French registrations in July slipped back 4 percent to 143,777, partly because there was one fewer selling day in the month this year than last year. The annual selling rate of just over 1.8 million units indicates that overall demand remains muted. Amongst smaller markets, strong monthly gains were recorded by Ireland (+62 percent, SAAR 101,057 units), Portugal (+31 percent, SAAR 146,738 units), Greece (+20 percent, SAAR 71,983 units), Luxembourg (+16 percent, SAAR 50,879 units) and Sweden (+13 percent, SAAR 307,498 units).